Comparing the UK approach to exploiting offshore petroleum with Australia - does who dares win? 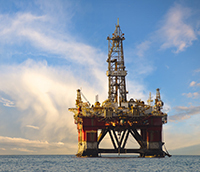 The petroleum licensing regimes of the UK and Australia were created in the1960s at a time when the offshore petroleum potential of the North Sea and Australia’s offshore was untested and those areas were immature. Over the intervening 50 years the offshore fields of both countries have matured and there is now a more complex, diverse and crowded landscape; where, for example, several small fields with different ownership need to share common infrastructure to be economic. In 2016 because of declining production the UK made a radical change by introducing an independent regulatory authority the Oil and Gas Authority and an overarching obligation on industry to “maximise the recovery of UK petroleum”, or MERUK, meaning that industry had to consider the national interest as well as its own commercial interests. This brought with it what might be called a “use it efficiently or lose it” approach. Now, some two years after this radical change Professor John Paterson will reflect on whether MERUK is working and what the problem areas are. Will the UK win as a result of this daring approach? Professor Paterson will be introduced by Professor John Chandler from the UWA Law School. Professor Chandler is the Co-Director of the UWA Centre for Mining, Energy and Natural Resources Law and researches how Australia, Norway and the United Kingdom are dealing with the challenges of a mature petroleum environment. Professor John Paterson is a Professor in Law at the University of Aberdeen. He has written extensively on oil and gas issues. He is the joint author of Oil and Gas Law: Current Practice and Emerging Trends, now in its third edition (Dundee University Press 2018). He has also written and researched in the area of occupational health and safety in oil and gas (Behind the Mask: Regulating Health and Safety in Britain’s Offshore Oil and Gas Industry, Aldershot 2000) and governance (Governance in the European Union, Luxembourg 2001, of which he was co-editor). He has commented on the Wood Review reforms, the subject of this lecture. He is also an expert on issues relating to decommissioning and is preparing working papers for the UK’s new National Centre of Excellence on Decommissioning which will launch in the Autumn as a partnership between the Oil and Gas Technology Centre and the University of Aberdeen.